Square Enix has announced a whole slew of fan favorite Final Fantasy titles will be appearing on new consoles for the first time. Final Fantasy Pocket Edition HD is now available for the Nintendo Switch and the Xbox One, in addition to its usual home on the PlayStation 4. World of Final Fantasy Maxima will be coming to all three platforms as wella s PC on November 6th. The news didn’t stop there! 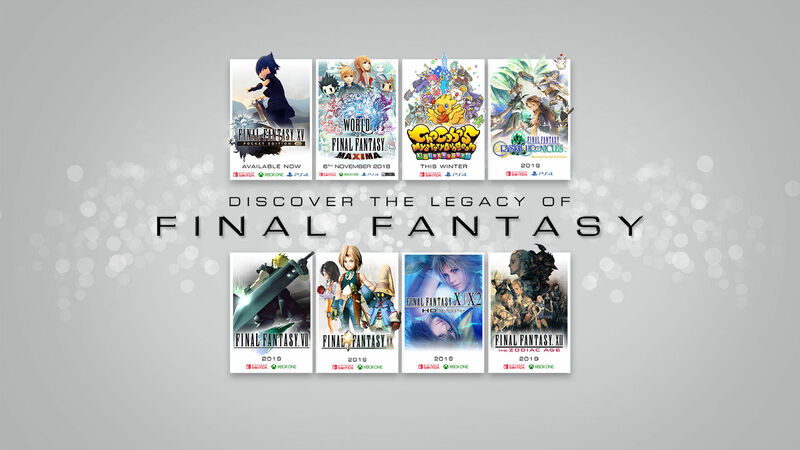 Check out the impressively long list of coming-soon titles below, then head on over to the Square Enix website to learn more about each game and its release date.